As writers, we’re prone to reflection. We contemplate and process the events in our lives through written words. Keeping a journal is a matter of instinct. For some, the idea of not having one is unthinkable. Journaling is cathartic and it’s one of life’s simple joys. This is particularly true when it comes to keeping a Gratitude Journal. For those who aren’t familiar with the concept, a Gratitude Journal is just what it sounds like. A place to record and remember the little things you’re thankful for. Sound a little too sappy for your taste? It doesn’t have to be. A Gratitude Journal is simply a space to reflect on those simple things you often take for granted. Research has shown those who actively give thanks for the good things in their lives reap all sorts of physical, social and psychological benefits. You can scribble on blank notebook paper, or download a gratitude journal app like Happy Tapper. Old school or high-tech, the medium doesn’t matter so much as the act of giving thanks. But there are a few pointers psychologists have found enhance the positive effects of gratitude journaling. Some might surprise you! 5. Don’t write every day. It sounds counterintuitive, but there’s research to back it up! 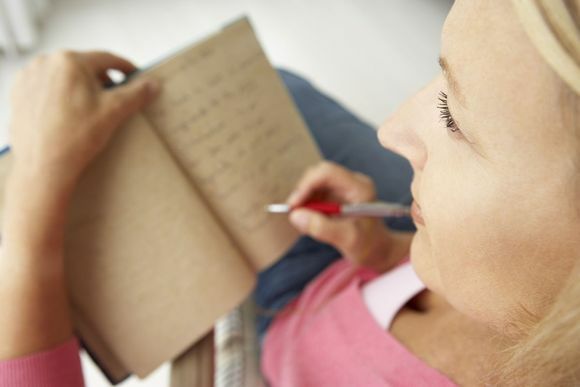 A study by psychologist Sonja Lyubomirsky found journaling once a week, rather than several times, has more impact. Happiness levels were higher for participants who wrote just once a week compared with the more frequent writers. 4. Elaborate. Jotting down a list of things you’re thankful won’t leave you feeling fulfilled. Digging below the surface and writing details about the source of your gratitude will. 3. Focus on surprises. Research shows positive, unexpected events leave us feeling particularly grateful. 2. Subtract. On days when you can’t find much to feel thankful for, try envisioning your life without certain things or people, and you’ll quickly find there’s plenty to be grateful for! And plenty to write about. 1. Slow down. It’s all a gift. In an interview with UC Berkeley’s The Greater Good, gratitude expert and professor Robert Emmons suggests thinking of each item in your journal as a “gift.” In his studies he instructs participants to “Be aware of your feelings and how you “relish” and “savor” this gift in your imagination.” It’s important to think deeply about what it is you’re thankful for, and why.